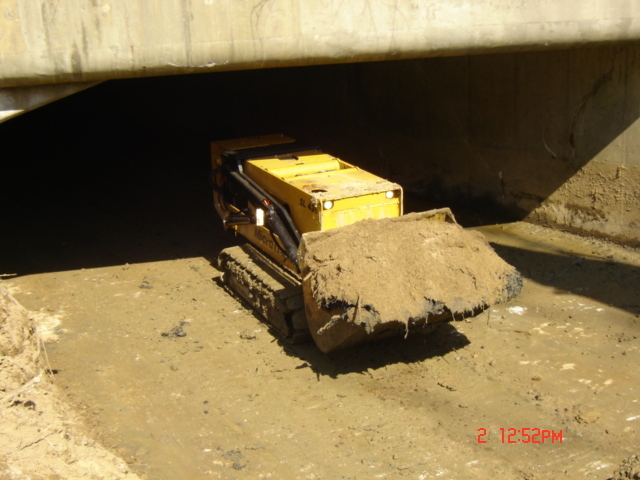 MICROTRAXX equipment offers a safe and environmentally friendly solution for your confined space requirements when working in box culverts, round culverts, low clearance bridges, and other storm water drainage structures. 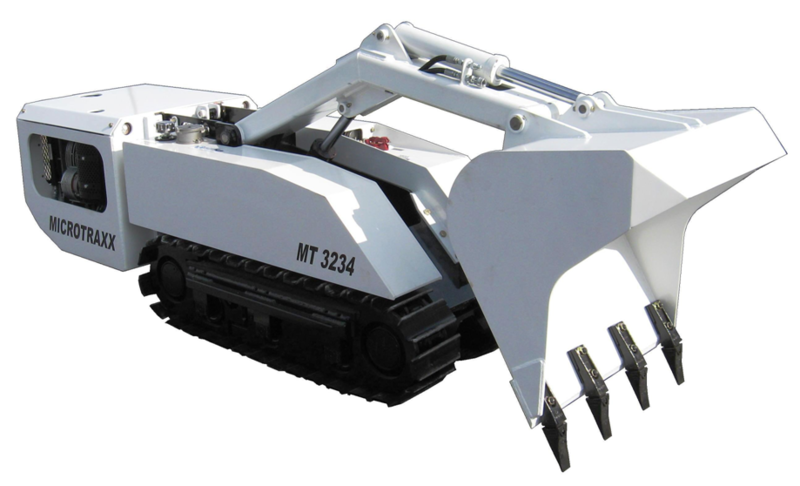 These Radio Remote Controlled Track Loaders will clean deposition from structures while the MICROTRAXX operators are in a safe location outside of the confined spaces. Structures as small as 34" box culverts or 48" round culverts can be cleaned safely and efficiently while keeping workers away from potentially hazardous areas. ROHMAC, INC is an OEM of custom heavy duty specialty equipment and attachments. Our innovative design team uses 3D modeling software to develop machines that perform tasks and work in areas that existing machines cannot. Customers have the ability to approve a concept machine before fabrication. ROHMAC, INC strives to exceed customer's expectations with our designs, quality, and craftsmanship.